So a while ago, Loki got a new saddle. 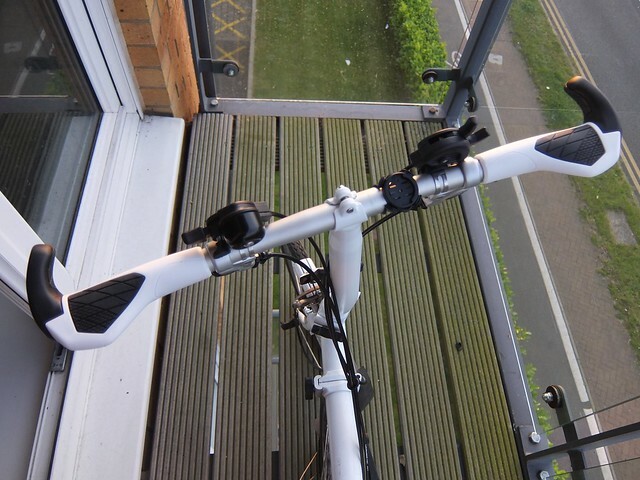 However, the other item I’d been toying with getting for the Brompton since getting it, was a set of grips. Of course, these would have to be Ergon grips, as since trying them on my other bike, I’ve been sorely impressed with them (well, no soreness at all, as that’s part of the reason for buying them!) 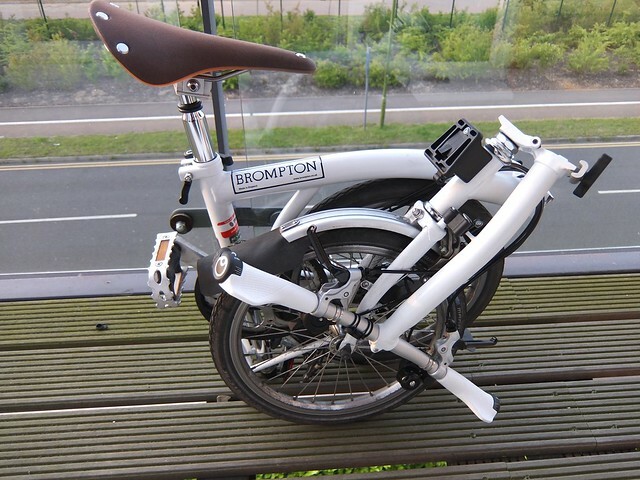 For longer journeys, they all for different riding positions (with the bar ends) and are more comfortable than the standard Brompton grips for day to day to use. So I finally got round to changing the grips when I purchased a set of Ergon GS2 grips. I added these to the bike this week. 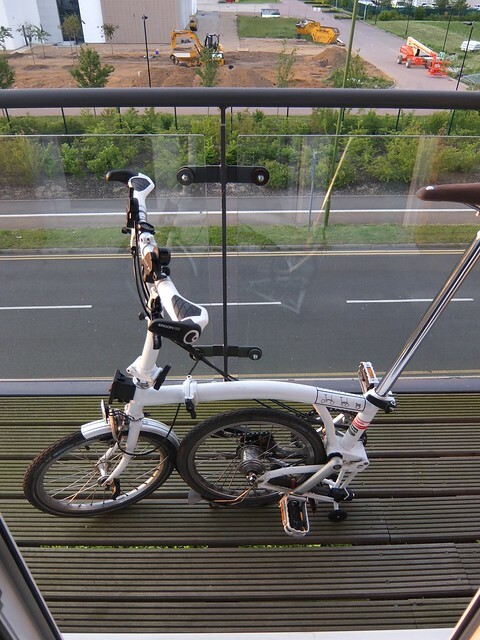 The image doesn’t show how much of a pain taking the Brompton ones off was! I don’t know how much glue they use to stick them on in the factory, but it felt like they’d dipped the bike into the glue to attach them! However, I resorted to scraping most of it off with a blunt knife. Used some IPA spray as well to try and soften it and get it off. In the end, I cleaned it up as best I could and then put the grips on over the top, using the IPA spray to help slide them on (as it made the glue left slightly tacky and easier to slide the grips over). My initial concern with the Ergon grips was the fold. But that’s not impeded in any way. Overall, I’ve used them for a few days and I’m glad I changed - I used to use the bar end position a lot on the Brompton without having bar ends before so these are comfier for that position. Perhaps the next change would be to get a black seat post?